Icon trading corporation, Leading Manufacturer and Supplier suntec pump distributors in India, Kolkata, we offer Suntec Fuel Pump such as Suntec Oil Pump and Suntec Fuel Pump, Oil Burner Pumps ,Suntec Oil Pump, Fuel Pumps, Suntec pump. AS 47A/C, AS 67A/C, AN 67A, 77A, AE 97C, AJ 6A 6C, J6CCC, J7CCC, AJ6CC, E4NC, E6NC, E7NC, E7NA, TA 2C, TA 3C, TA 4C, TA 5C, T 2C, T 3C, T 4C, T 5C. Icon tarding corporation Leading Manufacturer and Supplier from India, Kolkata, we offer Suntec Fuel Pump such as Suntec Oil Pump as47 C A and Suntec Fuel Pump AS 47 C.
Suntec fuel Pump AS47 A for Ecoflam Burner. Suntec fuel Pump AS47C for Bentone Burner. 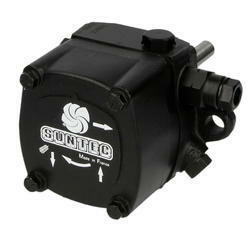 Suntec fuel Pump AS47 A for Riello Burner. Suntec fuel Pump AS47 B for Baltur Burner. Suntec fuel Pump AS47 Ak for Ecoflam Burner. Suntec fuel Pump AS47 A for FBR Burner. 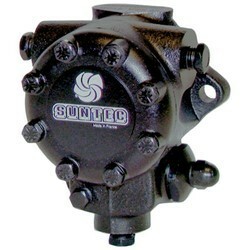 Suntec fuel Pump AS47 A for Oxilon Burner. Suntec fuel Pump AS47 A for Sookook Burner. Suntec fuel Pump AS47 A for Unigas Burner. Suntec fuel pump AS 47 D for Cuenod Burner. 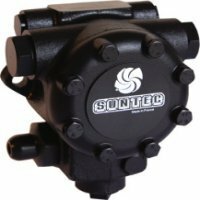 Icon trading corporation,Leading Manufacturer and Supplier suntec pump distributors in India, Kolkata, we offer Suntec fuel Pump E7 na 1069 7p such as Suntec Oil Pump and Suntec fuel Pump E7 na 1069 7p. Oil Burner Pumps D57 C a Pump, Suntec Oil Pump, Fuel Pumps, Danfoss Make Oil Pump, Suntec pump.AS 47A/C, AS 67A/C, AN 67A, 77A, AE 97C, AJ 6A 6C, J6CCC, J7CCC, AJ6CC, E4NC, E6NC, E7NC, E7NA, TA 2C, TA 3C, TA 4C, TA 5C, T 2C, T 3C, T 4C, T 5C. Suntec Fuel Pumps D 47A 7383, D 57A 7271, D 57C 7372. Suntec fuel Pump D57 a/c for Ecoflam Burner. Suntec fuel Pump D57 a/c for Bentone Burner. Suntec fuel Pump D57 a/c for Riello Burner. Suntec fuel Pump D57 a/c for FBR Burner. Suntec fuel Pump D57 a/c for Oxilon Burner. Suntec fuel Pump D57 a/c for Sookook Burner. Suntec fuel Pump D57 a/c for Unigas Burner. Suntec fuel Pump D57 a/c for Cuenod Burner. Icon trading corporation, Leading Manufacturer and Supplier suntec pump distributors in India, Kolkata, we offer Suntec fuel Pump E4 na1001 6p such as Suntec Oil Pump and Suntec Fuel Pump, Oil Burner Pumps AS 47 C a Pump, Suntec Oil Pump, Fuel Pumps, Danfoss Make Oil Pump, Suntec pump.AS 47A/C, AS 67A/C, AN 67A, 77A, AE 97C, AJ 6A 6C, J6CCC, J7CCC, AJ6CC, E4NC, E6NC, E7NC, E7NA, TA 2C, TA 3C, TA 4C, TA 5C, T 2C, T 3C, T 4C, T 5C. 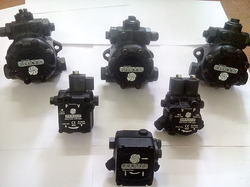 Suntec Fuel Pumps E4NA1001, E4NC1001, E4ND1001, E6NA1001, E6NC1001, E6ND1001, E7NA1001 E7NC1001. E4NA1069, E4NC1069, E6NA1069, E6NC1069, E7NA1069, E7NC1069. J3CCB1000, J4CAC1000, J4CBC1000, J4CCC1000, J6CAC1001, J6CCC1001. 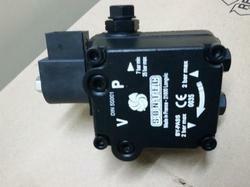 Suntec fuel Pump E4 na1069 7p for Ecoflam Burner. Suntec fuel Pump E4 na1069 7p for Bentone Burner. Suntec fuel Pump E4 na1069 7p for Riello Burner. Suntec fuel Pump E4 na1069 7p for Baltur Burner. Suntec fuel Pump E4 na1069 7p for FBR Burner. Suntec fuel Pump E4 na1069 7p for Oxilon Burner. Suntec fuel Pump E4 na1069 7p for Sookook Burner. Suntec fuel Pump E4 na1069 7p for Unigas Burner. Suntec fuel Pump E4 na1069 7p for Cuenod Burner. Icon trading corporation, Leading Manufacturer and Supplier suntec pump distributors in India, Kolkata, we offer Suntec fuel Pump E7 na 1001 6p such as Suntec Oil Pump and Suntec Fuel Pump, Oil Burner Pumps AS 47 C a Pump, Suntec Oil Pump, Fuel Pumps, Danfoss Make Oil Pump, Suntec pump.AS 47A/C, AS 67A/C, AN 67A, 77A, AE 97C, AJ 6A 6C, J6CCC, J7CCC, AJ6CC, E4NC, E6NC, E7NC, E7NA, TA 2C, TA 3C, TA 4C, TA 5C, T 2C, T 3C, T 4C, T 5C. Suntec Fuel Pumps AS 47A / C.
Suntec Fuel Pumps AS 67A / C.
Suntec Fuel Pumps AN 67A, 77A. 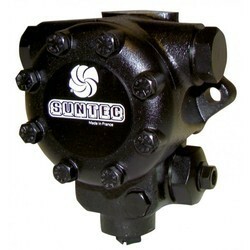 Suntec Fuel Pumps AE 97C. Suntec Fuel Pumps AJ 6A 6C. Suntec fuel Pump E7 na 1069 7p for Ecoflam Burner. Suntec fuel Pump E7 na 1069 7p for Bentone Burner. Suntec fuel Pump E7 na 1069 7p for Riello Burner. Suntec fuel Pump E7 na 1069 7p for Baltur Burner. Suntec fuel Pump E7 na 1069 7p for FBR Burner. Suntec fuel Pump E7 na 1069 7p for Oxilon Burner. Suntec fuel Pump E7 na 1069 7p for Sookook Burner. Suntec fuel Pump E7 na 1069 7p for Unigas Burner. Suntec fuel Pump E7 na 1069 7p for Cuenod Burner. Icon trading corporation, Leading Manufacturer and Supplier suntec pump distributors in India, Kolkata, we offer Suntec fuel Pump E6 na 1001 6p such as Suntec Oil Pump and Suntec Fuel Pump, Oil Burner Pumps AS 47 C a Pump, Suntec Oil Pump, Fuel Pumps, Danfoss Make Oil Pump, Suntec pump.AS 47A/C, AS 67A/C, AN 67A, 77A, AE 97C, AJ 6A 6C, J6CCC, J7CCC, AJ6CC, E4NC, E6NC, E7NC, E7NA, TA 2C, TA 3C, TA 4C, TA 5C, T 2C, T 3C, T 4C, T 5C. 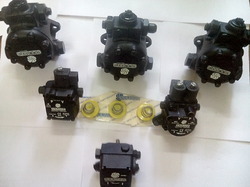 Suntec Fuel Pumps E7 NA1001, E4NC1001, E4ND1001, E6NA1001, E6NC1001, E6ND1001, E7NA1001 E7NC1001. Suntec fuel Pump E7 na 1001 6p for Ecoflam Burner. Suntec fuel Pump E7 na 1001 6p for Bentone Burner. Suntec fuel Pump E7 na 1001 6p for FBR Burner. Suntec fuel Pump E7 na 1001 6p for Oxilon Burner. Suntec fuel Pump E7 na 1001 6p for Sookook Burner. Suntec fuel Pump E7 na 1001 6p for Unigas Burner. Suntec fuel Pump E7 na 1001 6p for Cuenod Burner. Icon trading corporation,Leading Manufacturer and Supplier suntec pump distributors in India, Kolkata, we offer Suntec fuel Pump AJ6CC csuch as Suntec Oil Pump and Suntec fuel Pump AJ6CC. Oil Burner Pumps AJ6CC Pump, Suntec Oil Pump, Fuel Pumps, Danfoss Make Oil Pump, Suntec pump.AS 47A/C, AS 67A/C, AN 67A, 77A, AE 97C, AJ 6A 6C, J6CCC, J7CCC, AJ6CC, E4NC, E6NC, E7NC, E7NA, TA 2C, TA 3C, TA 4C, TA 5C, T 2C, T 3C, T 4C, T 5C . Suntec fuel Pump AJ6CC/AJ6aC forEcoflam Burner. Suntec fuel Pump AJ6CC/AJ6aC forBentone Burner. Suntec fuel Pump AJ6CC/AJ6aC forRiello Burner. Suntec fuel Pump AJ6CC/AJ6aC forBaltur Burner. Suntec fuel Pump AJ6CC/AJ6aC forFBR Burner. Suntec fuel Pump AJ6CC/AJ6aC forOxilon Burner. Suntec fuel Pump AJ6CC/AJ6aC forSookook Burner. Suntec fuel Pump AJ6CC/AJ6aC forUnigas Burner. Suntec fuel Pump AJ6CC/AJ6aC forCuenod Burner. Icon trading corporation,Leading Manufacturer and Supplier suntec pump distributors in India, Kolkata, we offer Suntec fuel Pump , J6CCC, J7CCC csuch as Suntec Oil Pump and Suntec fuel Pump J6CCC, J7CCC,J3CCB1000, J4CAC1000, J4CBC1000, J4CCC1000, J6CAC1001, J6CCC1001. Oil Burner Pumps AJ6CC Pump, Suntec Oil Pump, Fuel Pumps, Danfoss Make Oil Pump, Suntec pump.AS 47A/C, AS 67A/C, AN 67A, 77A, AE 97C, AJ 6A 6C, J6CCC, J7CCC, AJ6CC, E4NC, E6NC, E7NC, E7NA, TA 2C, TA 3C, TA 4C, TA 5C, T 2C, T 3C, T 4C, T 5C. 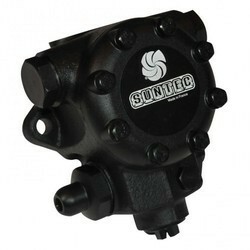 Looking for suntec fuel pump ?